Always love talk on the FGC, especially from those interested but deeply into it! On the one v teams thing... I am very much on the one more than the team. Because there is that sense mentioned that it's all down to you. Both as a player and a viewer you know who won on their own merits, on teams there is often a feeling someone was carried, or someone failed it for others, even the potential for that to be there is an issue. Curious on your thoughts on the more mid tier fighting games that were there like Persona 4 Arena and Skull Girls. I can appreciate the solo fighter mentality for sure. My family watched a lot of boxing growing up, so that idea of a single-person's merits is neat. At the same time, I always found team games far more interesting as a viewer. The personal burden isn't entirely dominating, but it's still there, but no with others. As for the mid-tier fighting games, I didn't catch any matches, but I did watch a LOT of people duke it out at E3 w/ BlazBlue. Those games are gorgeous and fascinating to me. Arcsys is a company with a beautiful artstyle to say the least. And many fighters like Arcsys's tend to have an issue where most moves feel purely like they are made for combos as opposed to much else (Skullgirls and Melty Blood are huge offenders to this, and our of Arcsys game, BB is probably also guilty of this a bit too). Arcsys are kind of interesting in that their games are both very hard and very accessible at the same time. With nice smooth progression of skill too. Games like SF though start of very simple, but then almost have a vertical difficulty curve after a fairly flat line (at least to me). 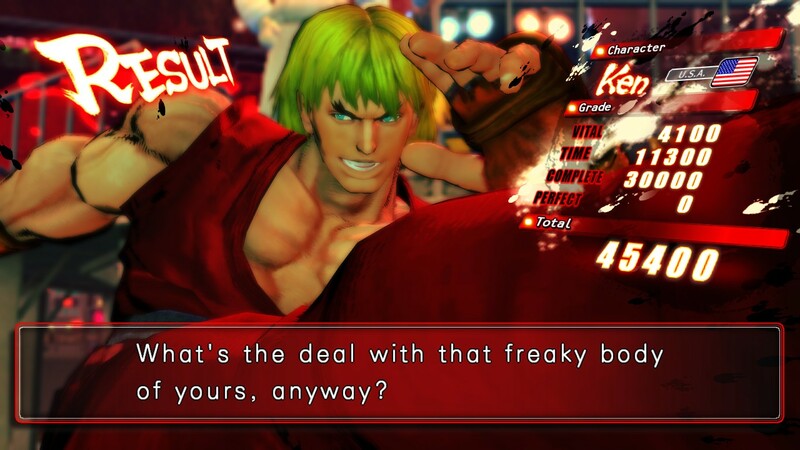 (Persona 4 Arena, in my mind has the best balance of all this, but that's another issue).